Around three-dozen different varieties of cabbage are cultivated in China. The most famous among these in the West is the “Bok choy”, also known as “pak choy” and “Shanghai choy.” It was incidentally the Chinese who brought it to North America in the late 19th century, when they took part in the great gold rush. 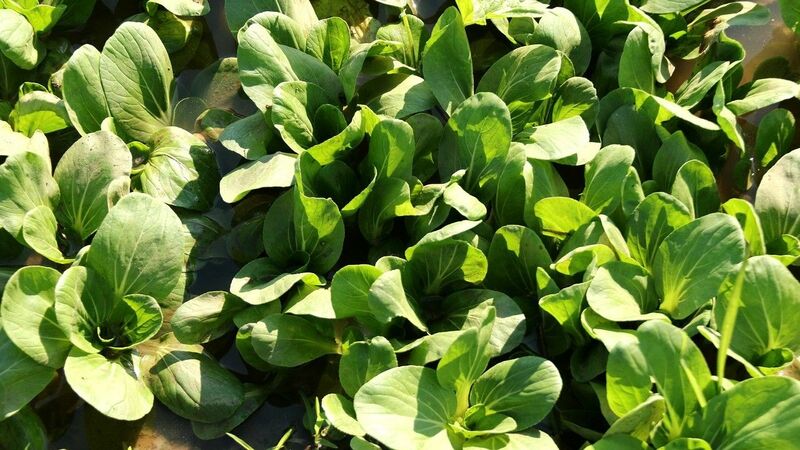 The Bok Choy combines the benefits of a good yield and short production period (50 days), with excellent nutritional value. Rich in vitamins A and K, this is also the vegetable that contains the maximum “bioavailable” calcium, i.e. that the body can easily absorb and use. Its juicy and crunchy white stalks end in tender, dark green ribbed leaves and it has a sweet flavour. It can be eaten raw, cooked or pickled. To prepare it the Chinese way, cook the stalks for a few minutes and add the leaves right at the end because they require very little cooking. Originally published in the Journal de Montréal on January 14, 2012.